Signs and symptoms vary greatly depending on the gene or genes affected. While some genetic disorders are inherited from the parents, other genetic diseases are caused by acquired changes or mutations in a preexisting gene or group of genes. Mutations can occur either randomly or due to some environmental exposure. Genetic disorders can affect a wide range things from brain development to metabolic processes. The signs and symptoms vary greatly depending on the gene or genes affected. The most common genetic disorders are down syndrome, cystic fibrosis, Huntington’s disease, Duchenne muscular dystrophy, Sickle cell anemia, hemophilia, thalassemia, and fragile X. Genetic disorders are inherited medical conditions caused by an abnormality in an individual’s genome. These abnormalities can range from minor to major; from a discrete mutation in a single base in the DNA of a single gene to a gross chromosome abnormality involving the addition or subtraction of an entire chromosome or set of chromosomes. While some genetic disorders are inherited from the parents, other genetic diseases are caused by acquired changes or mutations in a preexisting gene or group of genes. Mutations can occur either randomly or due to some environmental exposure. 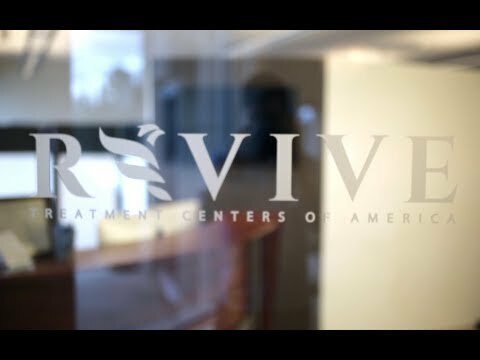 At Revive we specialize in providing treatment to the neurological regions affecting growth and development. Your treatment can include balance, gait, and eye training; as well as hand-eye coordination, repetitive transcranial magnetic stimulation (rTMS), hyperbaric oxygen, diet, and supplements. Beyond the neurological system, there are many factors that can impact the presentation of genetic disorders: the immune system, diet, sleep, and stress (to list a few). By integrating knowledge of the brain and influence of these factors, we are able to be very specific with targeted therapies which create lasting neurological changes. Your treatment plan is designed specifically for you and is not a protocol. This plan is executed over 10-15 days. Patients see measurable improvement during their time in our office and continue to make gains once they leave. To help ensure success on your journey of healing, we create and define a plan for you when you go home. This plan may include sourcing local specialist for a safe and effective continuum of care. Our goal is to see each patient continue to build upon the initial results they achieved in our office. Our care is directed to helping drive neuroplastic change and neurological growth. We can’t change the genome a person has but therapies that drive positive epigenetic changes can affect the expression of genes. The earlier the intervention the more success we see in increasing the quality of life. Function Movement exercises and whole body vibration have shown tremendous results in increasing strength and self-awareness while activating the cerebellum and areas of the parietal lobes. We utilize E-stim in many different waveforms to increase strength, increase self-awareness, decrease spasticity, and active brainstem neurons. The following studies are studies of individual waveforms and how they can affect strength, spasticity and awareness. Vestibular therapy is a very powerful tool in the world of neurological rehabilitation. When we look at brain development we see that movement drives brain growth and one of the most important areas for sensing movement is the vestibular system. When we utilize rotational therapy to active the vestibular system, we see an increase in activation to several cortical regions.